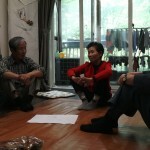 Jo Ok Sim together with her family goes around the world until arriving in Ushuaia in 1974, being the first Koreans to live there. 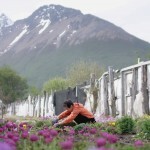 The documentary proposes to reflect on the value of work and the identity of a Korean family that lived longer in Argentina than in their homeland. Jo Ok Sim, “Halmoni”, que significa “abuela” en coreano, escapa de la posguerra junto con su familia y da la vuelta al mundo hasta llegar a Ushuaia, el lugar más austral de Argentina, siendo los primeros coreanos en vivir en ese lugar. Allí, a pesar del clima adverso, comienzan a construir granjas y viveros que todavía siguen funcionando. El documental propone reflexionar acerca del valor del trabajo y la identidad de una familia coreana que vivió más tiempo en Argentina que en su tierra natal. Jo Ok Sim, “Halmoni”, which means “grandmother” in Korean, escapes the post-war with her family and goes around the world arriving at Ushuaia, the southernmost place in Argentina, being the first Koreans to live in that place . There, despite the adverse weather, they begin to build farms and nurseries that are still working. 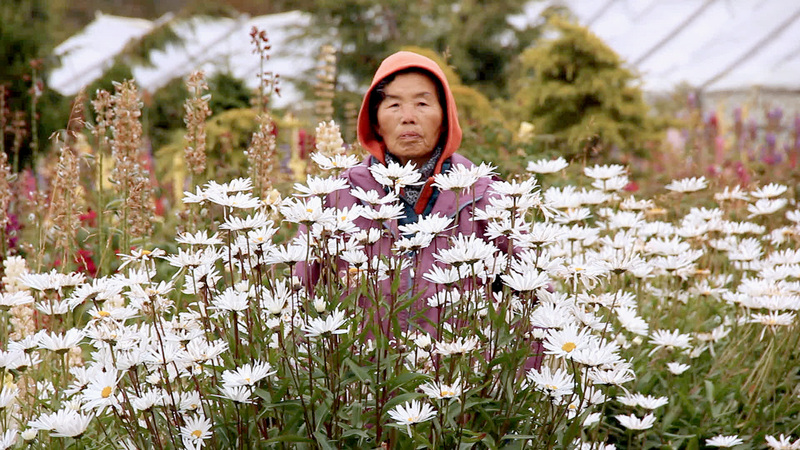 The documentary proposes to reflect on the value of work and the identity of a Korean family that lived longer in Argentina than in their homeland. Daniel Kim nació en 1990 en Tierra del Fuego, Argentina. Se establece en Buenos Aires y comenzó sus estudios en la ENERC. Realizó asistencias de edición y fue editor para grandes productoras de cine y TV como Aleph Media, 100 Bares, Estudio Mandiga. Actualmente trabaja como editor en VFXBOAT. Halmoni es su primer largometraje como director. 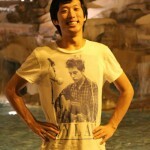 Daniel Kim was born in 1990 in Tierra del Fuego, Argentina. He settled down in Buenos Aires and began his studies at ENERC. He made editing assistances and was editor for large film and TV production companies such as Aleph Media, 100 Bars, Estudio Mandiga. Currently working as an editor in VFXBOAT. Halmoni is his first feature film as a director. Tengo 27 años, nací en Ushuaia, la ciudad más austral del mundo. Formo parte de la primera generación de coreanos nacidos en el lugar. Crecí en la montaña, ayudando a mi abuela y padres en el vivero de la familia, junto a mis primos, también hijos de coreanos. Cuando mi abuelo Moon Myung Kun llegó a Ushuaia, esta era solo una pequeña ciudad al final del mapa. Junto con mi abuela, Halmoni, armaron un vivero y una granja. El emprendimiento creció a la par que la ciudad y como esta, sufrió los tropiezos, las idas y vueltas de los cambios climáticos y de gobierno en Argentina. Hoy, 40 años después, el vivero sigue en pie, sostenido por esfuerzo de mi abuela. Sin embargo, corre un verdadero peligro, que una vez que ella muera, ninguno de nosotros, sus nietos, quiera tomar las riendas del negocio y que el vivero desaparezca. Durante la infancia fue difícil para mí definir una identidad cultural ya que iba al colegio con chicas y chicos argentinos pero puertas adentro, en mi casa se vivían las costumbres coreanas, era un micro-mundo y la adaptación cultural fue compleja. Yo quería ser argentino pero sin desestimar las costumbres de mi familia. Este documental surge a partir de una pregunta que me hago desde pequeño ¿A partir de qué construimos nuestra identidad? Este documental es una pequeña investigación sobre la identidad, sobre la cultura y sobre el valor y la pertenencia a la tierra. Quiero contar esta película, porque a pesar de las adversidades, mis abuelos nunca dudaron en que el vivero, el esfuerzo y el trabajo, representan el valor más importante de su identidad cultural. I’m 27 years old and born in Ushuaia, the southernmost city in the world. I’m part of the first generation of korean emigrants born in there. I grew up on the mountain, helping my grandmother and parents in the family’s farm fields, along with my cousins, also sons and daughters of koreans emigrants. Ushuaia was just a small town at the end of the map when my grandfather Moon Myung Kun arrived. 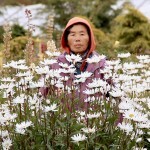 With my grandmother, who we call Halmoni, meaning grandmother in korean, set up a plant nursery and a farm. The venture grew at the same time that the city and like it, suffered the tripping, the comings and goings of the climatic changes and of government in Argentina. Today, 40 years later, the nurseries are still standing, sustained by my grandmother’s effort. However, there is a real danger that once she dies, none of us, her grandchildren, will take over the business and the nursery disappears. During my childhood it was difficult to define a cultural identity as I went to school with Argentine girls and boys but in my home, I had to behave by korean manners, it was a micro-world and the cultural adaptation was complex. I wanted to be an Argentine but without disregarding the manners of my family. I often asked myself questions since I was a child. How does one build his identity? Does it come from the family manners? Or is the place that one was born? 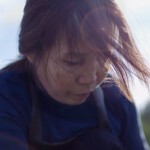 This documentary is a research on identity, about mixed culture and the value of working the land. I want to make this film, because despite the adversities, my grandparents never doubted that the effort and the work of working the land represent the most important value of their cultural identity.